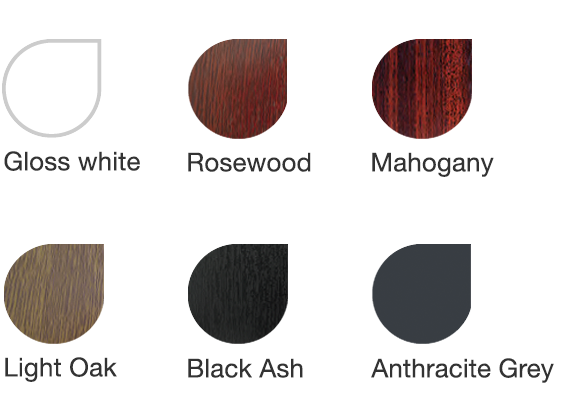 If you want a beautiful woodgrain finish cladding for a dormer extension or feature wall that matches with your PVC windows and door choose from a wide range of attractive shades from traditional Light Oak and Mahogany to more dramatic contemporary Anthracite Grey. Grey Cladding is one of the most popular colour choices for improvements and refurbishment. Woodgrain Shiplap Cladding is available in the stylish Anthracite Grey. The perfect match to grey windows and doors, the ideal way to give your home a contemporary look. Available in Shiplap Style Cladding board. Freefoam work with world leading woodgrain film provider Renolit using the Exofol PVC film for all woodgrain cladding to provide a durable fade resistant product. The colour pigments in the base film use Solar Shield Technology to protect the cladding against excessive heat build up and the upper transparent layer helps prevent fading caused by UV radiation or other weathering effects. 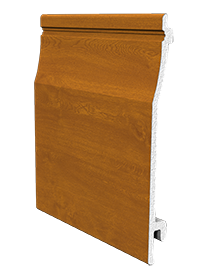 This technology allows Freefoam to offer a ten year guarantee on all woodgrain cladding products. Fill in the simple quote request form and we'll do the rest. We'll find you a registered, local and reliable installer. Request samples of cladding to see styles & colours available. 10 year guarantee on woodgrain cladding. Visit myrooflinematters.co.uk for roofline advice, information and a quote from a local Freefoam installer. Why replace Wood Cladding with PVC?